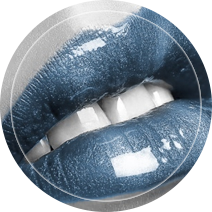 General Cosmetic Dentist Brunswick, OH | Dr. Lisa C. Elias, D.M.D. Dental Excellence. Compassionate Care. Exceptional Results. Brunswick, Ohio's Top-Rated Cosmetic General Dentistry for 6 Consecutive Years! Lisa Elias, DMD, is Brunswick, OH’s leading cosmetic general dentist and facial esthetician. With over 19 years of experience in the industry, Dr. Elias has been crafting patients’ smiles and facial features with incredible care and precision. Voted one of Cleveland’s top dentists by Northern Ohio Live for six consecutive years and named one of the best dentists in America, Dr. Elias has a repertoire characterized by success and client satisfaction. Her passion for art has fueled her achievements in her field, helping her to craft brilliant smiles, enhance her patients’ facial esthetics and improve their overall health. Unhappy With Your Smile? We Can Help! Your smile says a lot about you and there is absolutely no reason you should hide it. If you are uncomfortable or embarrassed about your smile, call us! We have the experience and technology to brighten and whiten stained teeth, replace worn dentures and silver fillings, repair or replace chipped, broken or missing teeth, and even help smooth out your fine lines and wrinkles. Our caring and careful dental technicians and dental hygienists are the best in Ohio and really take the time to understand your fears and concerns in a safe and comfortable office. We understand there are a lot of reasons why you may have put off investing in a great smile, but aren't you worth it? A great smile goes a long way in meeting new people, opening doors in your career and increasing your self-confidence. Schedule your free consultation today and let's talk about creating the smile you can be proud to show! Catering to All of Your Dental Needs, and More! 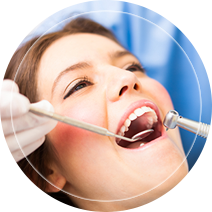 What is a Cosmetic General Dentist? It is a dentist who approaches dentistry with the idea that every decision from restorations, to teeth whitening and teeth straightening should be made with idea that the number one goal is to improve or enhance your smile. For example, we only use white or "composite" fillings to restore decayed teeth. It may seem like a minor detail to some, but in addition to being a healthier option to metal, it's a more discreet alternative. We approach your smile with an artist's eye. 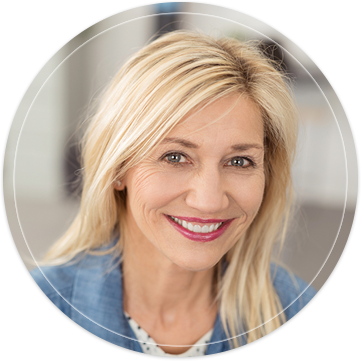 If you choose to include facial esthetic treatments like Botox® or Juvederm®, we first determine how the placement of the fillers will affect your smile before making the injections. Unlike some dental offices, we accommodate our patients with a kind, comfortable atmosphere while providing superior treatment and far exceeding expectations. Our experience and artistic foundation make us truly unique. We use state-of-the-art equipment including digital x-rays, ceramic crowns, veneers, bridges, and titanium implants to replace or enhance teeth and create beautiful, healthy smiles. Our patients receive only the best from Dr. Elias and our exceptional work and attention to detail have only made it easier for patients to return time and time again. 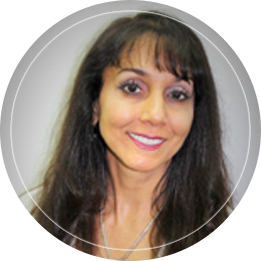 Dr. Lisa Elias has been our family dentist for the last 15 years. All work done has been excellent and is a reflection on Dr. Elias, who is a gifted talent with amazing and wonderful dental skills. She and her staff are extremely kind and caring persons, who provide outstanding professional service and who make you feel welcome and at ease from the moment you walk in the door throughout your appointment. If you are in need of a dentist and want 100% dental satisfaction with that “family feel,” Dr. Lisa Elias’ office is the place for you. Mary H.